Steering column connectors can plug directly into most aftermarket steering columns or stock 1970-74 Mopar columns by using the included adapter. Rear body harness assembly plugs into the main harness in the stock location and our longer leads allow for stock or custom routing of the wires. Rear body wiring includes backup light lead wires with correct lamp sockets or connectors, stop and tail light lead wires with correct lamp sockets, dome light harness, terminals, connectors and lamp sockets to mate with the license plate lamp, and fuel tank sender wire with trunk grommet and tank connection. Engine wiring includes connectors for original points type distributors, OEM Chrysler style starter relay connections, tach and ignition leads, etc. High-powered 1-wire alternator connections are supplied. Front lighting includes extra long leads that can be routed for stock or optional appearances. 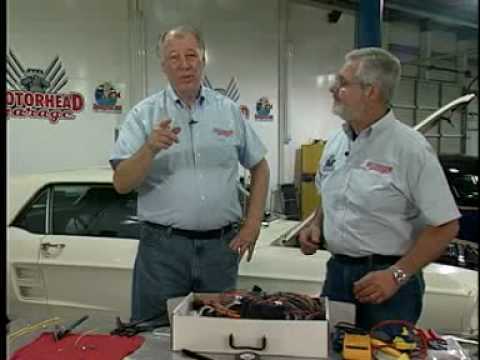 All headlight, parking light and directional light connectors and terminals are provided along with a switched trigger wire for an electric fan relay (usually recommended with AC). This 1970-1974 Cuda/Challenger Classic Update Kit is part number 510289.